I never considered baking my own bagels until I saw them as a Showstopper Challenge on the Great British Bake Off. 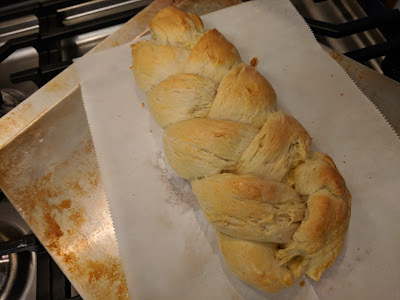 Enter an accidental surplus of cream cheese (from making frosting) and I decided I would give it a try. I used the recipe from my copy of The King Arthur Flour Baker's Companion, which is my go-to source for new bakes. 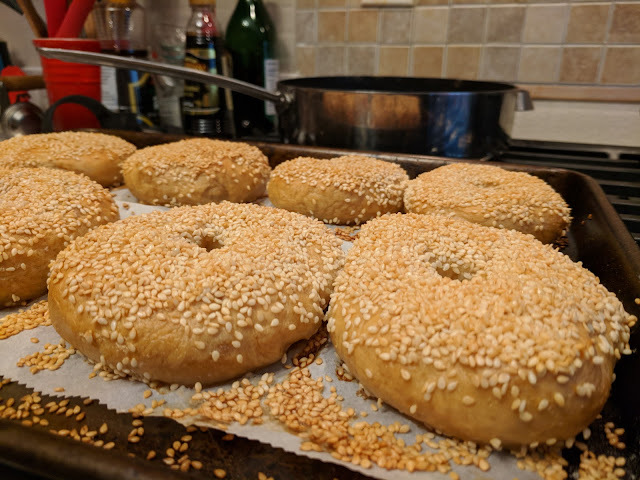 I chose to follow the instructions for adding sesame seeds, since those are a favorite of Dan's. 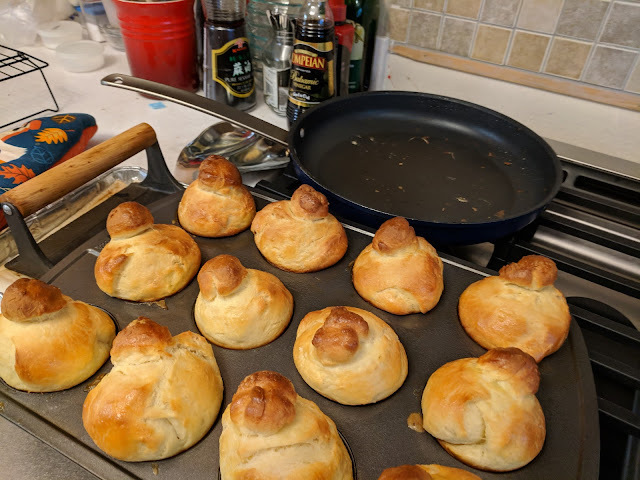 My bagels are a little flat---I had to shorten the final rise since I was due to leave the house---so I don't think I would earn any handshakes from Paul Hollywood, but I'm still proud of them. 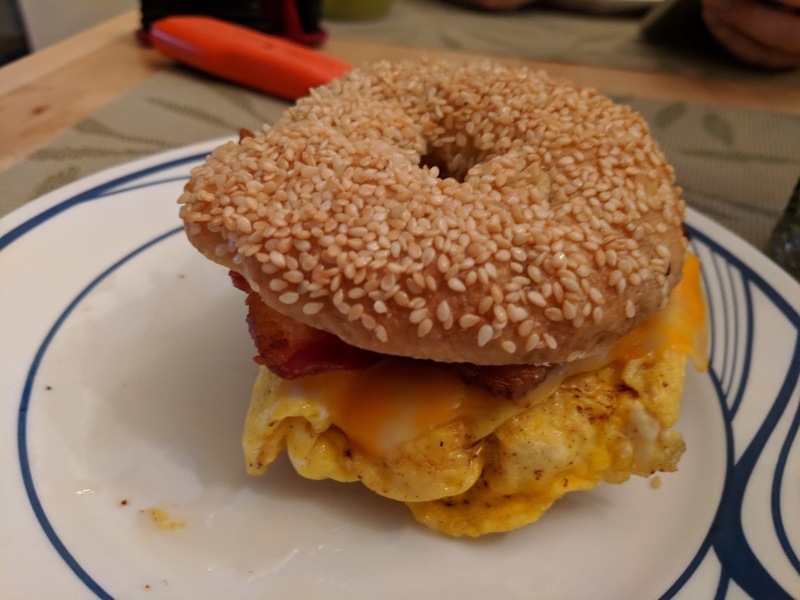 Incidentally, I used some of them to make really excellent, simple breakfast sandwiches (one scrambled egg, two slices of bacon, and a thin slice of colby jack).